Following Nintendo’s recent Financial Results Briefing, a lot of information was shared to the public, yet despite all the news that did come, none of it was about a certain Animal Crossing game that is coming to mobile devices later on this year. The fiscal year ended March 2017 was the first year that we kicked our smart-device business into full gear. The smart device business is a totally different ball game from the dedicated video game business, so we have offered a variety of playstyles and payment models. We used the broad installed base of smart devices to bring Nintendo IP to many consumers who would have been very difficult to reach with just dedicated video game systems. We were also able to generate opportunities for conversation about Nintendo’s games in general. We believe that this process of experimentation with purchasing systems, services after release, and with the synergies brought by our existing business has given us valuable insights this year that will help grow the business going forward. We released the iOS version of Super Mario Run in December of last year and started distribution for the Android version in March of this year. We anticipate that the game will soon reach 150 million downloads between both the iOS and Android versions. We are distributing this title in 165 countries and regions, and it has been downloaded by many consumers in regions outside Japan, the U.S. and Europe. In other words, we were able to provide an opportunity for many consumers in countries and regions where we had not previously done business to experience this new kind of Mario game that can be played with one hand. We offered a payment system for this title in which users can start playing the game for free, then pay the one-time price of 1,200 yen to gain access to all content. Though some consumers continue playing only the free portion of the game, the number of users who purchase the full game is also increasing gradually. *The price for purchasing the full game varies by country. We issued a major update, Version 2.0, along with the release of the Android version in March 2017. This update added Yoshis of different colors as playable characters. It also expanded the extent of the game that can be played for free. We anticipate that expanding the free areas of the game may extend the time between downloading the application and purchasing the full game. This adjustment will deepen the enjoyment of this title for both consumers playing for the first time and consumers who have already downloaded the application. We will continue to hold in-application events and create motivations for consumers to continue playing long-term. 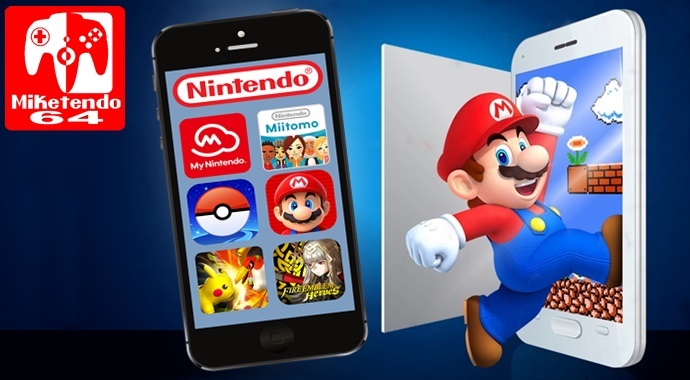 We aim for Super Mario Run to be an evergreen application with broad popularity worldwide that can be played without worrying about additional purchases. We released Fire Emblem Heroes in February of this year. We have been focusing on operations and taking user opinion into account as we perform rapid updates and run events for this title with the goal of making it enjoyable over a long period of time. Although item acquisition in this title is randomized, we value the trust of our consumers and do our best to assign prices that they will find to be fair. In terms of business results, we have reached a satisfactory level of sales. Finally, I will discuss the outlook for our smart-device business. I would like to reaffirm Nintendo’s main goals for our smart-device business. We will continue to provide service through the applications we have already released so that consumers can continue to enjoy playing those titles. Although we are not announcing any specific plans today, we plan to continue releasing two to three Nintendo titles per year as smart-device applications for consumers to enjoy. It may not be news we wanted, but as least it does offer us a better understanding as to what we can expect from Nintendo and the business models with choose to go with regards to their future games.